With a personality that doesn't conform well with authorities and the habit of wearing T-shirt instead of the standard shirt and tie, Ushio is speculated to be a juvenile delinquent although she firmly denies being one. 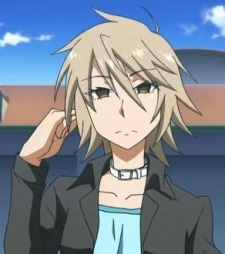 She likes pudding as well as cats and is tone deaf as revealed when she first went to Karaoke with Torako. She has an older brother.